Children at least age 18 and under 21 who are attending school may be entitled to receive child support payments from their parent(s) if there is a current support order. There must be a current child support order or judgment providing for the support. Judgment must not be fully satisfied in the court records. Child must not be emancipated (married, active military, legally emancipated). Child support order or judgment providing for the support of the child must have “child attending school” or ORS 107.108 » language. Child Attending School laws are different for each state, and not all states allow for support to continue after the age of 18. Eligibility for continued support depends on the laws of the state where the child support order was originally created. This is true even if Oregon has revised or modified the other state’s order. If your order was created in a state other than Oregon and you need to see that state’s requirements, please go to the Intergovernmental Reference Guide ». Can support continue after a child turns 18? Yes, most Oregon child support orders include support for children who continue their education after turning 18. If another state issued your original support order, it will depend on the laws of that state. You will need to review your specific child support order. What should I do for child support to continue under my Oregon order? be enrolled in school at least one-half time, as defined by the school. make satisfactory academic progress, as defined by the school. tell us and the paying parent in advance of changing schools. 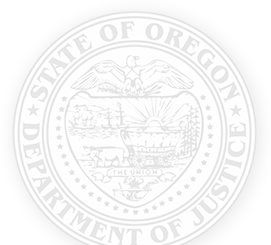 *If the Oregon Child Support Program has entered an order for non-disclosure, the child will send any required documents only to us. Does support continue during regularly scheduled breaks from school? Support continues during regularly scheduled breaks as long as the child intends to return to school the next term or semester. When does support stop for an Oregon order? reaches twenty-one, marries, or enters active-duty military service. is otherwise emancipated (usually through a court finding). fails to respond to an objection from a paying parent. fails to provide required information. provides written notice that he or she no longer qualifies as a Child Attending School. What if a child is not enrolled at least one-half time or stops making satisfactory academic progress? The child should notify us and the paying parent(s) right away. A paying parent can file a written objection. The child will have 30 days to prove he or she qualifies as a Child Attending School. If the child does not respond or does not qualify, we will suspend the child’s support. I'm a Child Attending School and my support order was suspended. How can I start support again? You must complete the steps to qualify as a Child Attending School as described above. What if I think I might have a safety risk? To learn how to address safety risks in the child support process, visit the Confidentiality in Unsafe Situations page. For more information, you may call the Child Attending School team during business hours.